With the feature film set to open in theaters tonight, The Hollywood Reporter brings word that the spin-off TV series for The Dark Tower is still very much in development and has added former The Walking Dead and The Shield executive producer Glen Mazzara to showrun the series. As previously reported, the series itself won’t hinge on the feature film, but will contain a bit of overlap as it will adapt the fourth book in the series, Wizard and Glass, which was primarily a prequel novel about the origins of Roland. 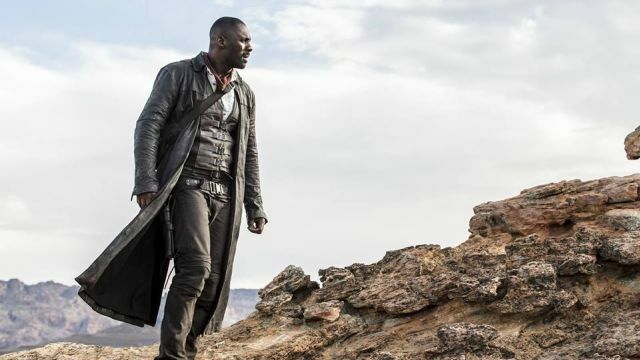 Idris Elba is slated to appear as Roland Deschain, aka The Gunslinger, along with Dennis Haysbert as his father, Steven Deschain, and Tom Taylor as Jake Chambers. Since the story tells the origin of Roland, a younger actor will be cast in the role with Elba and Taylor serving as the framing device for the series. There’s no mention of whether Matthew McConaughey will appear as The Man in Black in the series, though Walter does appear in the story wearing a few different faces and as a result the show could see a different actor in the part. Currently MRC is planning for a 10 to 13-episode first season for the series, aiming for a cable partner before beginning production in 2018. The film’s director Nikolaj Arcel and co-writer Anders Thomas Jensen are writing the script for the series, which has Akiva Goldsman, Gregory Lessans, Ron Howard, Brian Grazer, Jeff Pinkner attached as executive producers.